In Japan, 11th August became a national holiday called “Mountain Day” in 2016. It is a day for people “to enjoy mountains and appreciate the blessings given by them”. Mountain climbing and hiking in Japan had long been things enjoyed by hardly anyone but university students and grown-ups who belonged to mountaineering or Alpine clubs. Then in the 1990s mountain climbing all of sudden became a trendy activity among people in their 40s and 50s, as a TV show called “Japan’s 100 Best Mountains” steered people’s interests towards mountains. 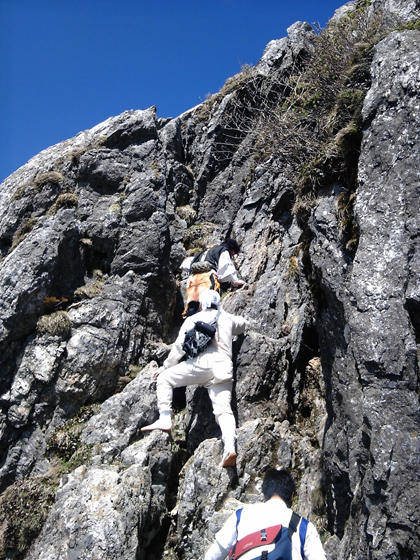 2009 was another epic point where the mountain climbing population dramatically increased, as many females encountered the “Yama-girl (mountain girl)” concept that featured widely on various media and penetrated through to commercial markets. The annual mountain climbing population was as low as 6 million people between 2003 and 2008, but the sudden surge in 2009 brought it up to 12.3 million, more than a double from the previous year. The following year, 2010, also recorded a mountain climber population of over 10 million, and the growing trend seemed to continue, particularly as Mt. Fuji approached registration as a World Heritage site. However, The Great East Japan Earthquake in 2011 and the volcano eruption of Mt. Ontake in 2013 killed the momentum and currently, as of 2017, the annual mountain climbing population has settled at around 8 million. Anyhow, Japan was always blessed with a rich natural environment, from ancient times to today, and there has never been any century like this one where millions of people go up mountains. Can you guess when people first started going into the mountains as a leisure activity in Japan? The beginning was back in 1874 during the Meiji era, when a party of three foreigners, William Gowland, William Atkinson and Sir Earnest Satow (the British Minister in Japan) did Western-style mountaineering (Alpinism) on Mt. Rokko using pickle and nagel. 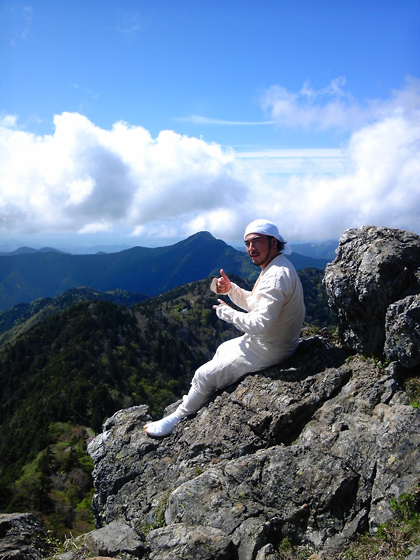 This is sometimes considered to be the very first time that the so-called “modern mountaineering” took place in Japan. Gowland climbed Mt. Yarigatake and Mt. Mae-Hotakatake and gave the name “Nihon Alps” to those mountains in the area. Sir Earnest Satow is known as one of the very first foreigners to have climbed Mt. Fuji. Western-style modern mountaineering then spread as a practice after these three gentlemen marked its introduction to Japan. As a totally different approach, if you look at how people on this archipelago lived their lives through history, you notice that people were always quite mindful and conscious of what mountains gave to them, and had accumulated wisdom to co-exist with or live within the natural world. They simply didn’t have the same perspectives as the western mountaineering culture, the concept of conquering the peaks or being leisurely entertained by the view of the landscape from the top. For as long as we can remember, people in Japan always had the sense of awe and reverence towards the whole of nature, not limited to mountains. The animism which finds divinity, deities and sacred beings in the natural providences is the broad bedding under the way we lead our daily lives on these islands. We did not have the concept of overriding or conquering the nature, or consider climbing to be a leisurely activity. To our people, mountains were something that personified the magnificence of nature. Our interactions with mountains were more about humbly accepting the tangible and nontangible blessings they shower us with, while mindfully attempting to harmoniously co-exist with them. People occasionally went into the mountains to meet and pay respect to the divine sacred existence or the Buddhist gods, and therefore to the mountain and to nature itself. These were people living at the foot of mountains, the hunter tribes who were literally living inside the mountains, and the Gyoja and Yamabushi people, disciples of Shugendo, Japanese mountain asceticism-shamanism incorporating Shinto and Buddhism concepts. The modern mountaineers saw mountains in Japan as untrodden when they started peak hunting there. But those peaks that they hunted actually already had the long-worshipped deities including Buddha enshrined at the top. In 1881, Gowland climbed Mt. Yarigatake, but 60 years prior to that in 1828 a Buddhist monk named Banryu-shonin had already climbed the mountain to the top and founded a temple at the foot of it. Without people cherishing and giving them meanings and forms, no deities or Buddhist gods would exist. In Japan, way before the modern western-style mountain climbing was introduced to its people, there were spiritual disciples climbing up the steep cliffs of various mountains around the nation. They were there with their beliefs that the mountain itself was the very deity/Buddhist god figure, and that climbing was a journey for them to go to see these primordial existences. That’s why we have a unique verb in the Japanese language, “to Tohai” which is used for the action of mountain climbing, but the characters used revealling the hidden intention behind the action, “to make an ascent of a mountain to enshrine sacred nature”. The word is still around, and so too is the intended action, quietly still in this world.